Givat Shaul, Israel - The funeral of Yotam Ovadia, 31, began on Friday afternoon in Givat Shaul, Jerusalem. 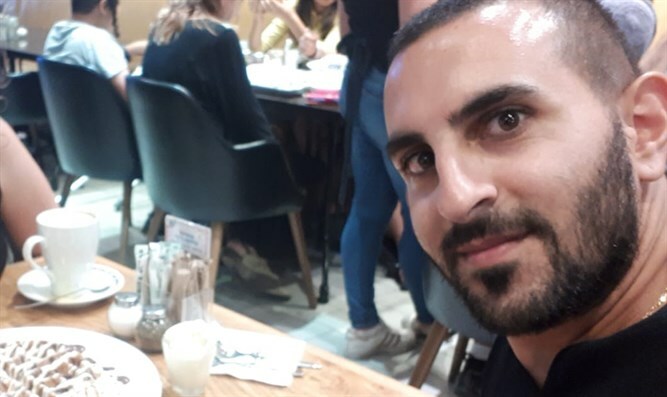 Ovadia was brutally murdered on Thursday evening when a 17-year-old terrorist jumped the security fence in the Jerusalem-area town of Adam and stabbed him to death. The terrorist, identified as Tarak Da’ar Yousef, also stabbed two other Jews. One is in moderate condition and the other was released from the hospital on Thursday night. Ovadia is survived by his wife Tal and two children: Two-year-old Harel and 7-month-old Itai. On Thursday night, Ovadia was on his way to his parents’ home, where he was to pick up ingredients for a special dinner he planned to make to surprise his wife. On the way, he was stabbed and murdered by the terrorist. “Your little son can’t manage without you. “We want to ask your complete forgiveness if we did anything to you. We all wanted only the best for you. Attending Ovadia’s funeral were Tourism Minister Yariv Levin (Likud), Deputy Defense Minister Rabbi Eli Ben Dahan (Jewish Home), MK Moti Yogev (Jewish Home), Jerusalem Mayor Nir Barkat, and GOC Central Commander Nadav Padan. 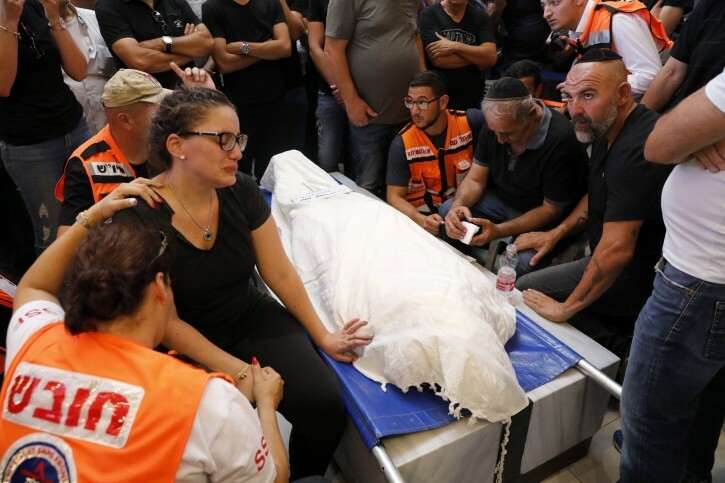 Prime Minister Benjamin Netanyahu on Friday eulogized Yotam, and send his well wishes two the other two victims who are still being treated for their wounds. “On behalf of all the people of Israel, I wish to send my condolences to the family of Yotam Ovadia, who was murdered in a terror attack last night in the settlement of Adam,” Netanyahu wrote. “Yotam left behind his wife Tal and his two children, Harel and Itai. We all pray for the speedy recovery of the wounded who are still being treated. May the memory of Yotam be blessed and may he be always cherished in our hearts. The way to stop these animals from killings Jews,(1)kill the killer on spot (2)destroy killer family' s home asap AND DEPORT THE KILLER ENTIRE FAMILY TO GAZA ASAP. none of that seems to work. may we only see Muslims suffer like this. until Arabs are petrified of Jews this will continue with weak liberals like Bibi (yes he is a liberal). How terribly sad! This is beyond grief!